No one could be surprised that Finland defeated Korea, but the manner in which that victory was achieved was anything but expected. It was a one-goal game after 40 minutes, and the Koreans were the stronger team for significant stretches. In fact, the teams played to a 2-2 tie in the second period, when Korea took control and played its best hockey in the history of the nation. In the end, the win means Finland will take on Canada in a quarter-finals tomorrow while the Koreans are now spectators from here on in. Their tournament might be over, but their effort here tonight will resonate for a long, long time. The team came in as long shots to just earn a modicum of respect. They left the ice tonight--after deep bows to all four sides of the stands and then the coaching staff, including a teary-eyed coach Jim Paek--proud and victrorious in the name of hockey. They earned a place in these Olympics, and they will be in Denmark in May for the World Championships after earning promotion last year in Division I-A. "The show they put on--boy it was fantastic for our hockey, and I just hope people watched that and appreciated how hard they worked," said Paek. 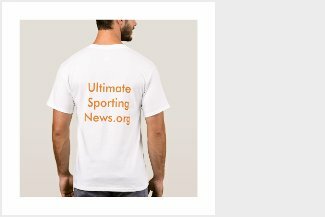 "I think everyone was watching the same game I was, and I'm pretty proud to be a part of Team Korea right now," said Brock Radunske, one of Korea's goalscorers. "To be in one goal game against Finland in the third period is a pretty special moment for Korean hockey, and I think the crowd gave us a lot of energy. It felt good to reward them with a couple goals." 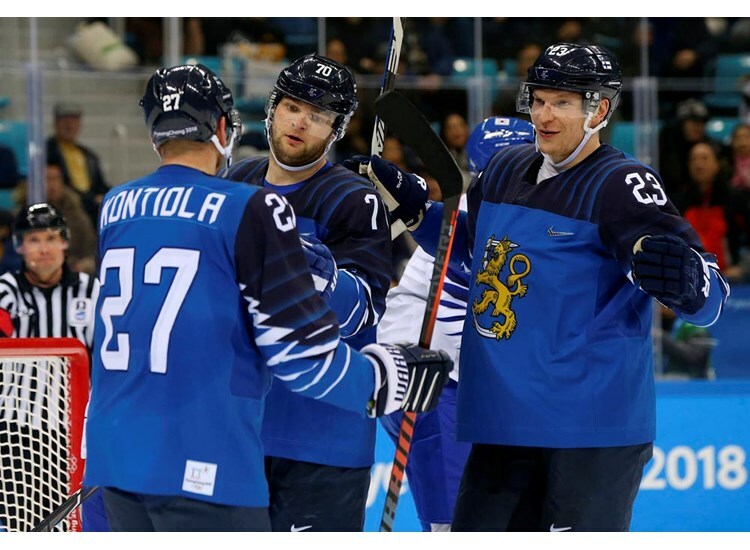 Finland jumped out to a 3-0 lead and seemed to be on its way to a comfortable victory, but the hosts made a comeback of near historic proportions. Finland got exactly the start it wanted, scoring an early goal on the power play. Eeli Tolvanen made a sensational back pass from along the boards across the width of the ice where Petri Kontiola wired a one-timer home at 4:42. That was the only goal the Finns could muster, and the Koreans came out strong to start the second. Sangwook Kim got his stick on a loose puck from in close and dribbled a shot off the post. Soon after, though, the Finns extended their lead on another man advantage. This time it was sheer luck that put the puck in the net. Kontiola made a pass in front, but the puck bounced off the skate of defender Bryan Young and past a helpless Dalton at 3:44. Three minutes later, it was 3-0 on a determined effort by defenceman Miro Heiskanen. He fought off a check and wired a shot to the glove side that eluded Dalton. And then the most extraordinary thing happened. The Koreans started to skate and take the play to Finland. In truth, they absolutely dominated the rest of the period, scored twice, and easily could have had a couple more. The rally started with the Koreans’ most impressive shift of these Olympics as they controlled the puck in the Finland end for more than a minute. In the end, Brock Radunske’s shot went under the pads of Koskinen at 10:06 for a well-deserved first goal. Two minutes later, Jin Hui Ahn made it a 3-2 game when he came off the boards and nailed a shot over Koskinen’s glove, sending the crowd into a frenzy for a second time. A scrum at the end of the period gave Korea its first power play of the night to start the third, but the advantage proved ineffective. That missed opportunity turned out to be costly as Finland went back to the power play a few minutes later and capitalized for a third time. Juuso Hietanen nudged a puck through bodies and over the goal line in a big pileup in front of Dalton to make it 4-2. "After 3-0 we loosened up a little bit, so they got two big goals there," said Kontiola. "It was a great game. I respect that team, and the crowd was great. I don't want to say we panicked, but something happened and we needed to talk a little bit after the second period." Of course, Finland is a world power for good reason, and though it was rattled in the second, it showed poise in the third, limiting the Koreans to just two shots and adding an empty netter by Sakari Manninen with 6.1 seconds left in the game. "First of all, respect to Korea," said Finland coach Lauri Marjamaki. "They did a great job. They worked hard. They were consistent and had commitment and discipline. But I am happy about our third period because we played so solid. When we led 3-0, we didn't do the job anymore and they got one goal and got the momentum, and it is not so easy any more. Our players want so much to succeed at this tournament and maybe sometimes it is not so easy."